Wings were a sea-green color, body was an army green color with black eyes. Thanks for the photos and description. 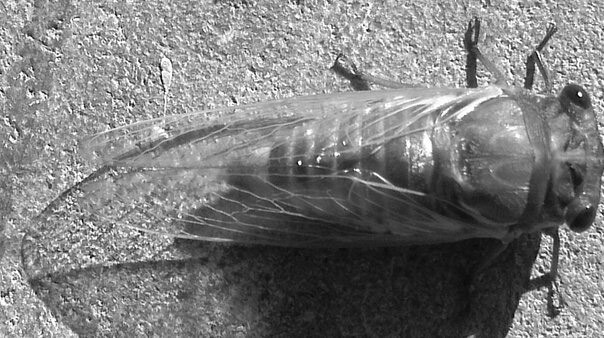 Even though these are in black-and-white and can tell that this is the species known as Tibicen canicularis, also known as The Northern Dog-day cicada. They have a very high-pitched calling song. I liken it to sounding like a buzz-saw on helium. 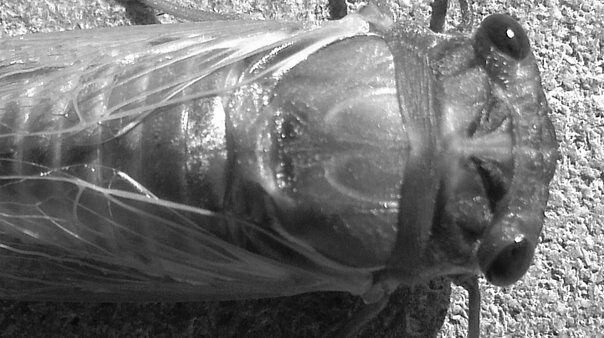 This one is newly molted, or "teneral".